It’s been a while, for a thousand different reasons. Sometimes, articulating what’s going on in my mind is near impossible and not always for negative reasons. Successes can be as difficult to articulate as failures. 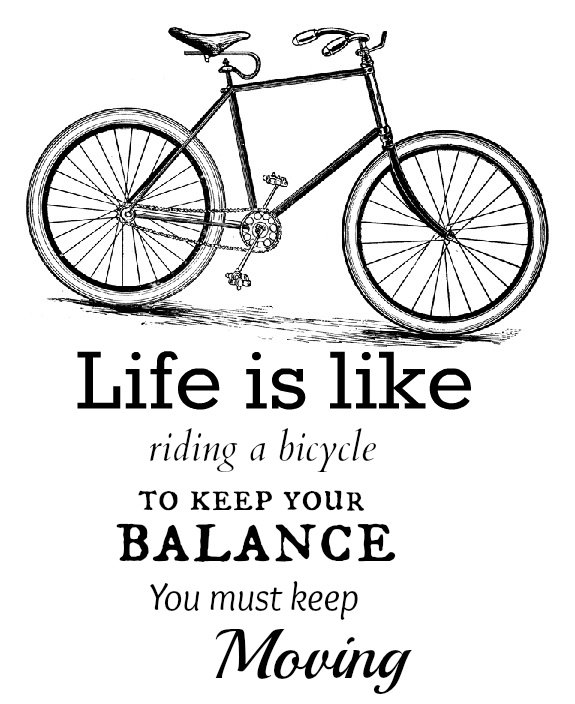 Yesterday I saw a picture on Instagram that had the words ‘Life is like riding a bicycle, to keep your balance you must keep on moving’ on it. It got me thinking for a while. It’s certainly easier to keep your balance when you’re going at a steady pace. It seems increasingly difficult to keep your balance the slower you go. Depression is a bit like that. the slower you go, the more you start to feel the erratic wheel wobbling that more often than not, results in a nasty fall. There will be some who advise you to get off the bicycle and sit on the pavement, be mindful, take in the scenery for a while. But, in the meantime, the group of cyclists you were so keenly riding with in a close-knit formation akin to a road race will have swept past you and gone. Life is not a race, but getting to share the journey with your tribe makes it for me, at least, worthwhile. It’s one of those anniversaries! My Facebook ‘on this day’ memory app keeps on throwing pictures of myself in a psychiatric hospital a year ago. So, I should feel great, right? And I do, at times. But these moments feel sporadic and slightly chaotic. Such anniversaries become times for celebration but also reflection. I have gained so much in my life since leaving the psychiatric unit for the fourth time one year ago. I have a new job I love, I’ve had my driving license back and I’m publishing my own book in a couple of months. I’ve recorded TV interviews about my last suicide attempt on the bridge and have agreed to up and coming radio slots and public work in the coming months. With this depth of reflection comes fear. Fear, that I might lose it all again, maybe for the last time. Each hospital discharge in the last 5 years became more difficult. Rebuilding my life for the fourth time seemed four times as hard as it was the first time. Why? Because, I had to find alternative routes to recovery, routes I had not previously tried to travel, and failed, returning to hospital. The road to recovery is a daily battle, one that is too easily dominated by fear. I can listen to others; acknowledge the successes in my life and try to be as positive as can be. But, doubt and fear are always present – lurking in the back of my mind, ready to jump to the very forefront whenever the bicycle I’m riding starts to lose speed. I guess that keeping my balance is as much about continuing to move forward as it is about dealing with fear and doubt and accepting that they’re going nowhere soon. They too, it seems will play their part in the journey that is to be my life.